There are a couple challenges that I am facing with this 30 x 30: 1) I wanted to include a bunch of my newest items so I could maximize their use and see how they work with my wardrobe, so this means I'm going into it with less ideas because I've never worn some of them before, 2) I have to wear a suit a few times a week so I am going to try to see how 1 brown suit and 1 black dress/blazer combo can be used as work separates, and 3) I have already had 2 fashion faux pas at the court house (read about the most recent one here) but I didn't want this challenge to just be a bunch of black and grey pieces, so I really want to focus on how to interject some fun into my court outfits without showing up wearing all purple again, lol. 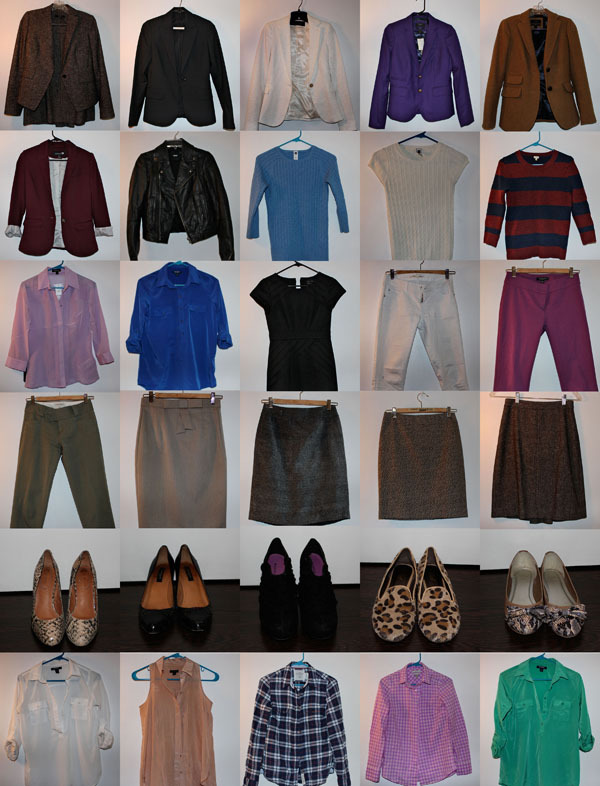 6 blazers, 1 leather jacket, 3 sweaters, 3 pants, 4 skirts, 1 dress, 7 tops, 5 shoes = 30 items! Here are the bloggers participating this month! If you have no idea what's going on, click here to read about the very first 30x30 EVARRRR! This is gonna be awesome. I can just tell. Special request: the stripe sweater with the camel blazer at some point this month. :) so happy you're doing this! So glad you're joining us! Love the pieces you've picked! I love the 30 x 30 concept! Gosh I admire the bravery - I don't know if I could do the 30x30!! I'm thinking I'll try it at least once in 2013 though - it's always good to push outside the comfort zone! Can't wait to see how you do it with so many suits needed in your wardrobe - I definitely need to get a bit more professional as this year goes on and my company grows, so hopefully I can get some inspiration here! I ADORE those pants. I adore anything magenta/fuchsia in nature. But you're rockin those pants like it's your job. I love how you pair different colors together! Super cute. :) Hello from your newest follower! 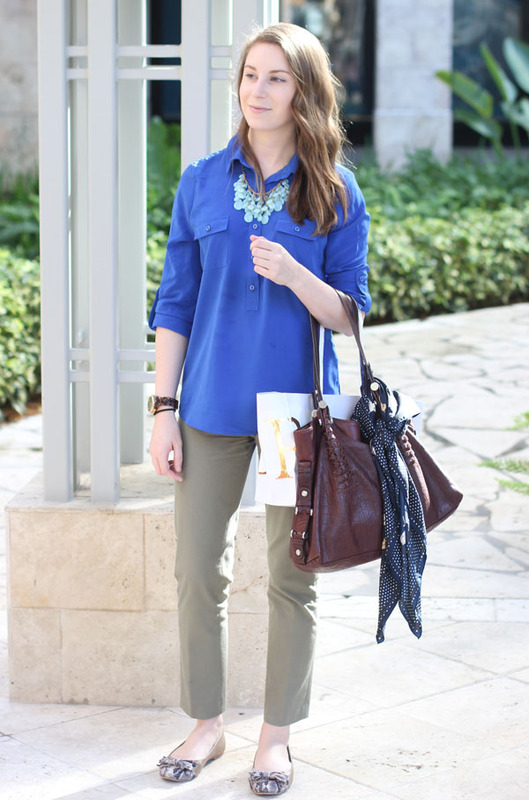 I love the mix of some traditional professional pieces with some more trendy pieces in your 30 items. Looking forward to seeing your remixes! Also, I am loving those purple pants - that cut is very flattering on you! I love those purple pants! They look especially great paired with that shirt - love the two shades of purple in one outfit! I LOVE this challenge! I am so excited to see your progress.